If you're still looking for your summer holiday, you're probably counting on grabbing a bargain deal at the last minute! Find out where's cheapest in Europe right now to help you get a great deal. You may be able to afford more than you think! Spain has long been a British favourite due to the short flight times, tourist-friendly resorts and low prices. 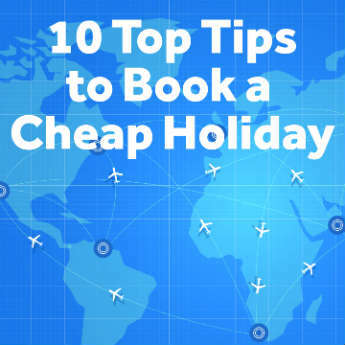 The regular flights and abundance of hotels keep holiday prices competitive, and if you go all inclusive you’ll cut down significantly on in-resort costs. Even in summer it’s possible to get cheap deals to Spain, and you know you’re onto a winner with the great beaches and beautiful summer weather. Generally speaking, the Costa Blanca, Costa del Sol and Majorca are the cheapest resorts, and offer the best bargains. This family favourite is consistently among the cheapest British holiday resorts, with the Algarve offering great bargains for families and couples alike. This area is extremely accessible and tourist-orientated, and is popular for self catering and all inclusive deals that help the budget-conscious holidaymaker avoid any unnecessary costs. Portugal came second in this year’s Post Office Travel Money Survey, with a coffee costing just 57p and a bottle of local beer available for 81p. Greece has had its fair share of financial troubles recently, and this looks set to continue at least for the near future. However this does mean that holiday prices are at a low, so it’s a great time to grab a good deal. Be aware that Greece recently announced that they are closing their banks until further notice; this means that financial services such as ATM withdrawals will be limited so take plenty of cash to avoid having to rely on cards. Booking an all inclusive deal is advisable, as this will allow you to pay for the majority of your costs upfront and limit the amount of cash you’ll need. Despite most of its holiday resorts being closer to Europe than the Middle East, Turkey is often a cheap holiday destination due to the unrest suffered by its neighbour. The resorts of Antalya, Bodrum and Dalaman remain largely peaceful and safe, so there’s little reason not to take advantage of the low prices on offer. That being said, some parts of Turkey do experience some trouble, so exercise caution when choosing to travel here. Stick to established holiday resorts and always check government travel advice before booking your trip. Bulgaria receives some bad press due to the wild exploits of teens in the resort of Sunny Beach, but this coastal area of Bulgaria is surprisingly pretty and extremely cheap. The weather is consistently warm from May to October, and there are plenty of lovely beaches to choose from. It’s easy to get a cheap deal in Bulgaria, as there are a large number of 2 and 3-star hotels for those who don’t mind roughing it a little to save money. If you’re still put off by the party scene at Sunny Beach, Varna and Bourgas are great alternatives.